Thin computing allows access to all users at a lower cost than traditional solutions, without compromising the security of the computer system or any administration possibilities. Thin computing facilitates the administration of systems and reinforces the reliability and security of information, considerably reducing IT costs. In turn, thin computing allows access to the applications and data that users need, improving security, reliability and availability compared to PCs. Aspects that increase the cost of deploying PCs in companies. 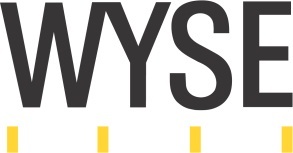 Wyse is the world leader in thin computing. Wyse’s programs facilitate the management, updating and interventions of every workstation from a central site. It is simpler and less costly to manage a few servers than hundreds or thousands of individual PCs. The absence of mobile elements on each station also reinforces reliability and availability, whilst reducing ownership costs.